Taking the opportunity to replace your old drafty windows, with new energy efficient Connecticut replacement windows is a great way to make your home more comfortable. At the same time, you will be able to reduce your monthly energy bills. This article will explain some of the options available for energy efficiency and a classy look to improve the elegance of your home. Double-hung windows offer a classier and sophisticated look. They have workable upper and lower sashes so they are able to move up and down. Lowering the top sash and raising the lower sash can allow warmer air in while the cooler air is able to flow out the bottom sash.This can help save money for more energy efficiency so you do not have to keep adjusting the thermostat and pay higher energy bills each month. Also, several double-hung windows have sashes that are able to tilt inward, allowing you to clean the exterior surfaces from inside your home making the cleaning process a simpler task. These windows are beneficial because they can help you save time and money. A slider window is typically composed of two operable sashes that open and close horizontally on a track. This window is a beneficial choice when the width of the window opening is larger than the height. However, there are several options available for slider windows to fit the opening of your home.Replacing your windows for sliding windows should offer you the advantages of opening on a smooth tracks that are easy to maintain and lift out so you are able to easily clean the exterior glass from inside your home. Wood replacement windows give your home a great style and with several options available, you'll be able to get the windows that best fit your home's elegance. Wood makes for a great insulator, so the frame will not transmit cold or warmth from the outside. This will help you save money with energy efficient options. Also, wooden windows allow for people to change up their style whenever they seem fit. Your able to repaint and stain whenever you are wanting a new look. 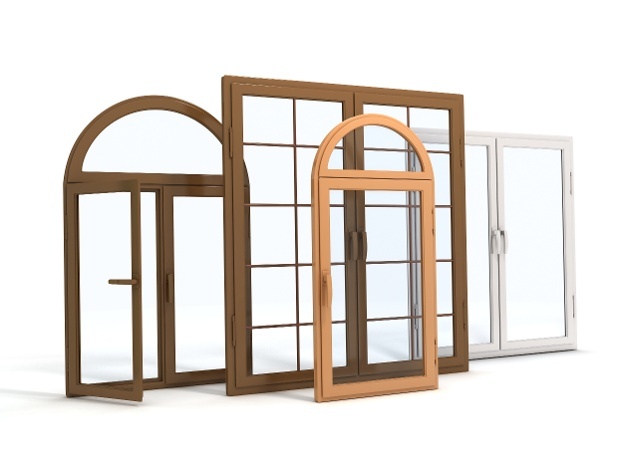 The drawback is that wood does require more maintenance than other replacement window options. Awning windows are hinged at the top and open outward. Usually wider than they are tall, their entire sash opens to provide side-to-side ventilation. This is important to save money with energy efficient windows which is an important component when you are looking to replace your old and drafty windows. Awning windows are available in several different colors to complete the look of your home and give the look and style you have been wanting. Picture windows are larger windows consisting of one pane of glass. They offer very unique and elegant styles that open up a room to let in beautiful natural light. Picture windows do not usually open but can be used with other windows that do. For example, pairing casement windows on either side of your picture window gives your home a gorgeous framed look for lots of natural light and fresh air. This combination of windows offers functionality and beauty for your style and creative expression.